Shade Works Window Fashions is a proud partner of Lutron Electronics. All Shade Works customers have access to the entire line of Lutron products. Fill out the form to the right to request more information and book your FREE consultation now. The Serena lines of shades from Lutron Electronics are available as Roller Shades or Honeycomb Shades. Additionally, each of the products will allow you to choose between light filtering and blackout fabric options. Capable of being hard-wired or battery-powered (8 D cell batteries), these automated shades are extremely quiet and easy to use. Your Serena Shades can coordinate together with Caseta wireless dimmers and switches to create the ultimate and desired atmosphere in your home. These Shades can be controlled with a PICO and/or 4 group RF remotes. The Lutron Smart Bridge has taken technology to a whole new level. This smart hub will allow you to fully utilize the features of both Serena and Sivoia Triathlon Shades, including setting schedules and scenes for the different rooms in your home. 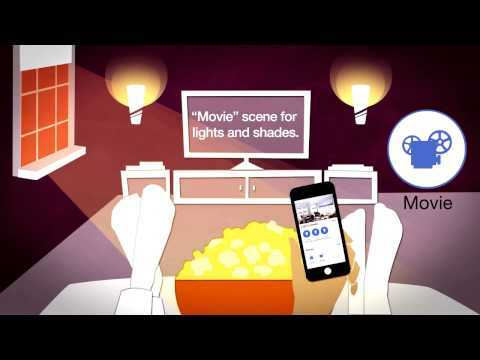 With the Smart Bridge and Lutron App, you will be able to control your shades from a world away, as long as you are connected to the internet. Want to push one button to close all your shades and turn off all your lights before leaving your home? No problem, customize any “scene” you like. Want to have your shades open at 6am to help you get up in the morning? No problem, “schedule” your shades to rise with the sun. You will be amazed at the possibilities! Shade Works Window Fashions’ customers will receive ​F​ree ​S​hipping on all ​O​rders. Shade Works also provides ​P​rofessional ​M​easure​ment​ and ​I​nstallation Se​​​rvices (dependent on ​​location).